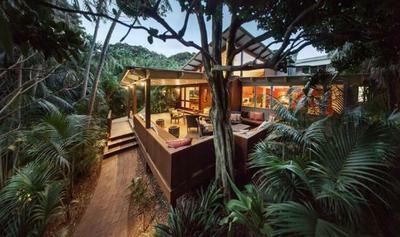 Arajilla Retreat is located in the northern, sheltered end of Lord Howe Island's lagoon. 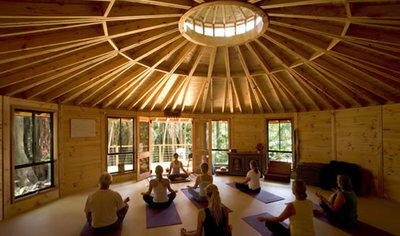 The retreat features access to beautiful gardens and sub-tropical rainforest, the Ayurvedic Spa, The Arajilla Restaurant, and several accommodation suites. There are three accommodation suites options to choose from for your stay, including the Arajilla Suites, Banyan Suite and the Kentia Suite. The Arajilla suite offers two bedrooms with king beds each, separate living room, two private bathrooms and a private deck with sunbeds. The Banyan suite offers one king bedroom, downstairs living room, upstair mezzanine ‘treetops lounge’, large private deck and one bathroom. 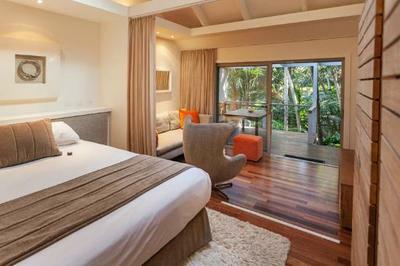 THe Kentia suite offers one bedroom, living room, private deck and ensuite. Each room booking includes breakfast, barbeque or picnic lunch, tea & coffee, pre-dinner drinks and three course dinner from the Arajilla restaurant's daily menu, daily room service, robes & slippers, mini bar, private deck and access to push bikes, beach chairs & cushions, backpacks and umbrellas. The Arajilla Retreat hosts the Arajilla restaurant, run by chef Dennis Tierney, who specialises in modern Australian cuisine. 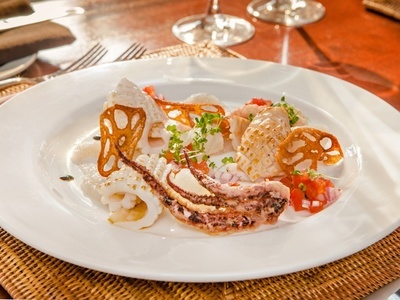 The restaurant sources some of its ingredients locally from the island, and is supplied vegetables and herbs from its kitchen garden. For those guests who have fished in the spectacular waters of the island and managed to catch one of the local yellowfin tuna, kingfish or wahoo, they may take it to Dennis in the restaurant to have it prepared for them for dinner. If it’s a relaxing spa retreat you are after, then book into the Ayuredic Day Spa. The spa, which is housed in a traditional yurt, offers treatments using ayureic skin care products, based on the 5000 year old Indian ayuredic science. Explore all the island has to offer from Balls Pyramid, and discovers the islands native wildlife by snorkelling through the national park waters which are home to more than 500 species of fish and ninety species of coral or observing the thirty species of birds who live on the island. Being just a short two hour flight from Sydney or Brisbane and the average temperature sitting at an ideal 25 degree celsius makes the Arajilla Retreat the perfect summer getaway destination for the season.